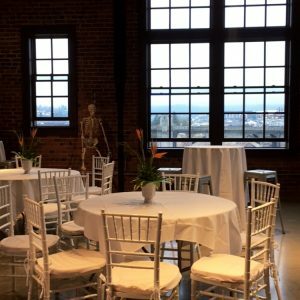 Beacon Hill Catering is proud to partner with the Mobius Science Center as one of their preferred caterers. We love taking our handcrafted catering to such a unique and interactive event venue! Mobius Science Center, nestled in the heart of downtown, features a modern venue space with a unique, fun, and interactive event experience for guests of all ages! Leave a lasting impression on your guests by hosting your next event in such a fun, convenient location!